An American original and a born showman, Liberace made his concert debut at age 11, had his own TV show at 33, played packed venues from London to New York to Hollywood, and filled Radio City Music Hall all his life. By 1954, he was appearing on 217 American television stations and 20 foreign countries. 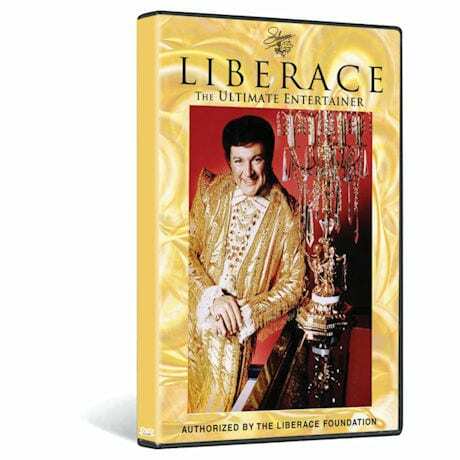 This set is "everything Liberace," from glittering costumes to dancing girls and joyous music. 3 ½ hrs, 2 DVDs, color and B&W.